Our world is ever more in need of the solace, wisdom and power of books. Good books are often hard to come by, so here is a bumper list of some of the most gripping volumes recently published for the young, the younger and the no longer so young in search of the music of words and the enchantment of meaning. 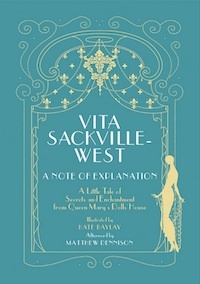 With grateful thanks to Hatchards, once again, for discreetly indulging me in several blissful hours of shelf browsing. This is an old story that will enthral young and more mature minds. 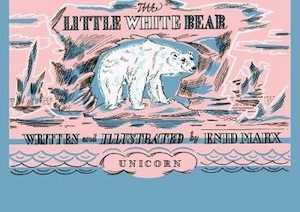 Written and illustrated by Enid ‘Marco’ Marx in 1945, The Little White Bear is a true yarn of dreams and beauty, of magical animals and a world trying to rise from the ashes of war. A proper winter adventure, snow, igloos and Christmas party included, from an artist celebrated for her block-print textiles, her stamps and her book covers, a friend and contemporary of Eric Ravilious. If you are a grandparent longing to read to young grandchildren on your lap or by your side, this is the book for you. Sweetly irreverent and mischievously sprightly, beautifully illustrated by the co-creator of The Gruffalo, ringing with lilts and sounds, and filled with the enchantment of words, this is a delight and a treasure to cherish. 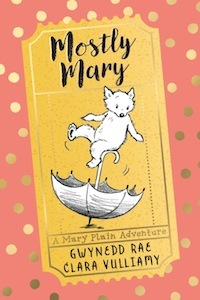 There is a very famous bear about town this Christmastime, yet Mary Plain was here many years before, and is making a much-anticipated return. It seems that cream buns, meringues and eclairs have always been of momentous significance to bears who have a thing or two to teach our human world. For little girls called Mary, plain or not; for little girls called by any other name. And for all little boys who long for a companion to Pooh. As much art history as self-discovery, this is a quiet classic, filled with wonder, beauty and a certain audacity. 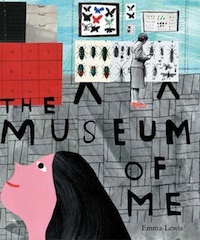 Deconstructing itself constantly, The Museum of Me will instantly become The Museum of You – luring young readers to journeys of appreciation, self-expression, inveterate awe and thrilling admiration. 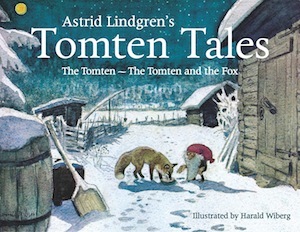 A feast for the eyes and a mighty ethical conundrum for young hearts: how will the Tomten keep the chickens safe and feed the poor hungry fox? 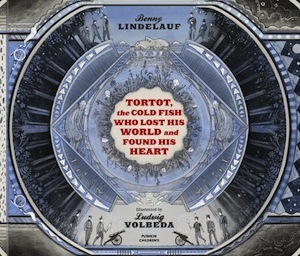 A collectors’ edition of two beautiful nighttime tales by a master storyteller unafraid to speak about sadness and joy, about tragedy and the miracle of small things. 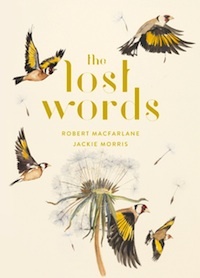 Our world is losing much that is most precious everyday – here is a book in praise of all that we must strive to keep, words, thoughts, images and emotions that keep us being all that we are. An absolutely ravishing book, to beguile young ears and eyes, as well as the experienced mind. A book embodying plenitude as well as the poignancy of perfect simplicity. A thrill, a delight, a rare find. Is anything set in stone? Or cast-iron, for that matter? Can America ever be absent from a day’s story? 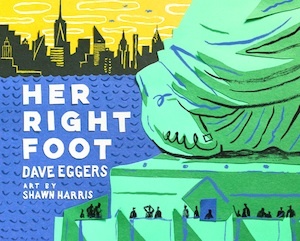 This boldly illustrated, audaciously told story about America’s most emblematic statue will make young minds think, dream, hope and, like that now famous right foot, take a delicate, determined step towards a shrewder, more critical, and yet more kindly understanding of our purpose and vision in life. We often worry about how young is too young – but as Jeffers remind us, young is often old enough. Old enough to wonder, ponder and deliberate, think about how to feel and be filled with the emotions of life. This is a beautiful book of big questions for little ears; great ideas for little minds; especially for dreams where limits become possibilities. Silly, serious, endearing, rambunctious and formidable in turn, this is a book for laughter and thought, for friendship and cheers. A book to pass the hours and to savour the passing of time. There are bad mice and good mice, ugly, terrifying mice and simply irresistibly adorable mice. 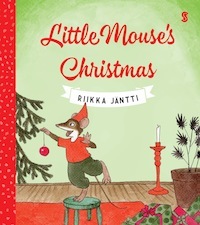 Whatever the case, there have to be mice around for Christmas to be Christmas, from The Nutcracker’s royal band of cut-throats to sugar and marzipan mice, to now Riika Jäntti’s perfectly hygge Little Mouse. 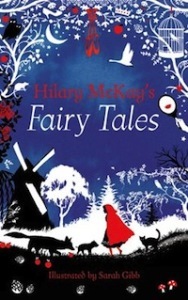 A beautifully illustrated, gentle story for the more lulling moments of the season. From Homer to Tennyson, to Auden and beyond (skipping T.S. Eliot’s practical and impractical cats), a dog has always been by most poets’ side. 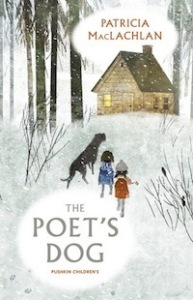 In this lyrical story, filled with beauty and sadness, a dog reminds our wounded humanity of the miracle of trust; the treasure that is to be had in friendships; and the enchantment that is to be found in a snowy wood and log cabin. A book to be read out or to be savoured in silent mystification, this is a new, true find. One of the New York Times’ 10 Best Illustrated Children’s Books of 2016, this is a cheeky, brightly coloured retelling of an well-worn tale that has many surprises in store (wolves beware, this tale is a sad one for young wolf-cub ears…). A page-turner, flap-twister, colour splurge of a book. Not one, not two but forty extraordinary women feature in this little book, where trailblazing emerges graceful and light-footed. 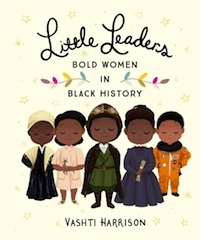 Stories of perseverance, endurance, clairvoyance, sheer mad audacity and bravery lie behind each of these lives, and this bold brushstroke of Black History will add hues of wonder and richness to any young and eager mind. The Little, Brown US edition can be found by determined browsers, ahead of the UK edition from Puffin in March 2018. 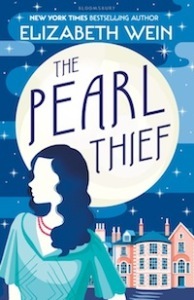 There is a sense of contagious mischief and fun in this book inspired by stories passed down to them by the O’Hara sisters’ Polish grandmother – a feeling of conspiracy in the making that makes this lilting little stream of cadences and doleful wisdom a true treasure. A fable for modern story-vores. This is as much an art gift as it is a book gift. 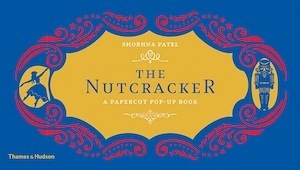 Stunningly conceived, beautifully executed and presented, readers of all ages will marvel at the craftsmanship and wonder of the papercuts as much as they will be lulled by the never-wearying story of a toy soldier and his beloved ballerina. 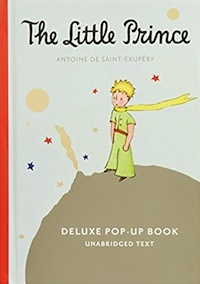 One cannot possibly ever relinquish one’s first copy of The Little Prince – in whatever language. It is impossible to say goodbye to the ethereal, determined boy full of sadness and joy, to his fox, his rose, his baobab trees and his sinister and brilliant professors scattered over as many planets as there are sunsets. 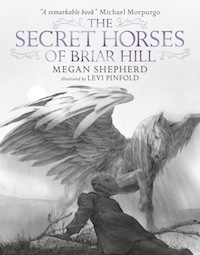 This pop-up edition, first published in 2015, allows younger readers to peek behind the shadows, hide behind the tree-trunks and pore over the mysterious crate where that little sheep has lived in everlasting safety and mystery. A thriller is an essential ingredient for Christmas, and this new 32-page picture book adaptation of Dodie Smith’s immortal heart-stopper is both stunning and true to the spirit of the original story. 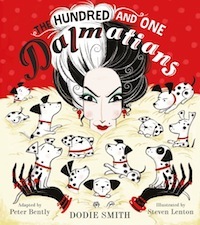 Eager young eyes will get lost and found in the striking illustrations, while their hearts will be irretrievably stolen by the spotted canines. Fathers of pernicious or simply larger-than-this-mortal-world daughters never lead easy lives, and Daniela’s father is one burdened with quite possibly one of the hardest lots. 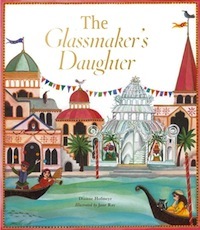 Venice, glassmaking, mirrors and a fair amount of light-hearted yet serious self-reflection, make this little book a joy to give, to read, to keep. A war. An evacuated child. A place with a mysterious name and an untold history. Secrets. Wonders. White snow and dark foes. A new classic, beautifully told. One more for the armchair Dr Livingstones: an enormous, tactile, gorgeously illustrated atlas of our place in the universe, overflowing with scientific facts, big questions and delicate poetry. 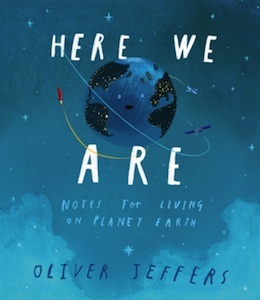 An excellent guide to that never-ending journey to where we are, who we were, what we might end up being. Serious and substantial, a pleasure to hold and a delight to explore, this is a book that will accompany young minds for a long time more than the twelve days of Christmas. There is a noble tradition that calls for children’s books full of fantasy and a drop or two of wisdom for keen readers slouching contentedly under a Christmas tree or looking wistfully at the flickering Hanukkah lights. 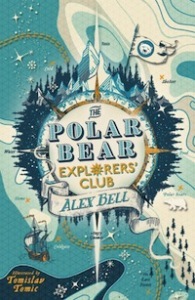 The Polar Bear Explorers are indomitably fearless, outrageously endearing and funny, with a trick or two up their sleeve. 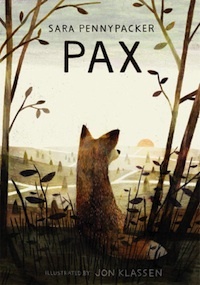 Foxes are back with a vengeance – full of charm, wisdom and doleful eyes that remind us of the truth that always lies at the heart of myths and legends. 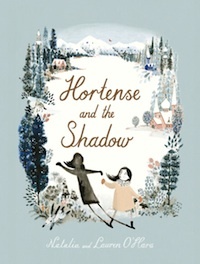 Now in paperback, this is a truly enchanted story of friendship, endurance, hope, the ambiguity of life. 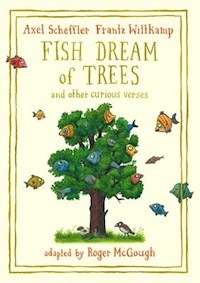 Beautifully illustrated, poetically written, it is not to be missed. This is for the young who are too old for fairy tales – or so they think. 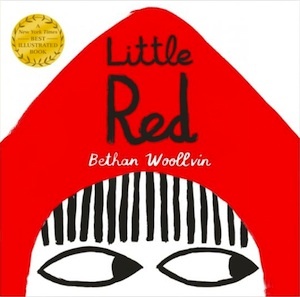 A resplendent collection of ancient fairy yarns retold with twists, tangles, and a fair amount of grains of salt, this is a book for deep thinkers, beanbag revolutionaries and budding Margaret Atwoods, exquisitely illustrated. Buyer beware: hic sunt viragos. If too much pudding and other holiday fare have made travelling most indulgently difficult, this book will take you across the globe breathlessly, effortlessly and mesmerisingly. 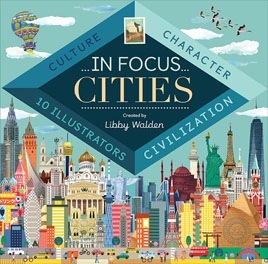 Ten illustrators explore ten cities, ten cultures, ten moments in time, as many questions and answers about civilisation, art, humanity, about splendour, glory and the future. A gorgeous, rich, engrossing book. 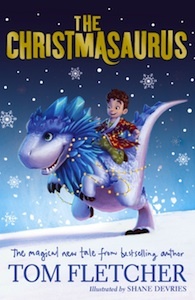 Buy this for yourself and pretend it is for your children, grandchildren, nieces and nephews. 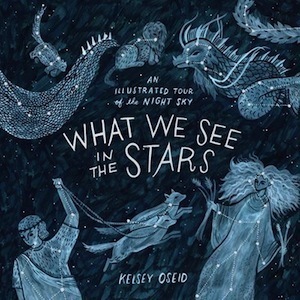 If you ever wondered how Orion ended up in the firmament (and how to find him), this is the book that will enchant you with the story of stargazing, star-naming, astronomy – perhaps even astrophysics. 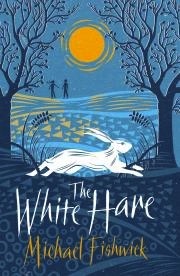 Thorough and enthralling, beautiful and full of unexpected surprises, this is a book for winter nights and summer eves. 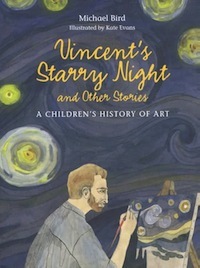 More stars, this time on canvas, in a journey through the world’s most iconic art works as engrossing as it is mysterious, beguiling, full of visual beauty and emotion. A gift for all the senses. Perhaps you know Marie Curie, but did you know that the course of Apollo 11 was calculated by a woman, the African-American Katherine Johnson? Stories that brim with facts and numbers, with trepidation and indomitable brilliance and panache, with the quest for knowledge and the yearning for meaning. 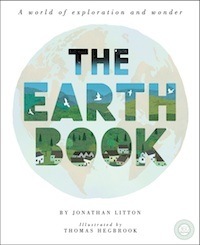 A beautiful, ponderous, exuberant book for any budding egghead. 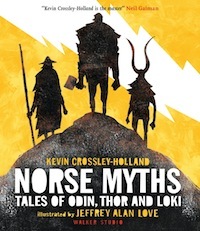 There is something distinctly new year’s resolution-like about the Norse myths: they urge you to brace up to the hail and brimstone of any era in human history, to face foes and monsters, and stare adversity in the eye. They are fearsome, meaty, bloody, full of frail humanity at its most dire. Retold by Kevin Crossley-Holland, they are infused with poignancy and poetry fit for our lore-thirsty times. Not for the faint-hearted, but certainly for the young at heart. Boys, time to face the truth: this is a woman’s world… One more engrossing, subversive, contagiously enchanting book about women, exceptional and ordinary, about old stories re-tweaked for new realities. 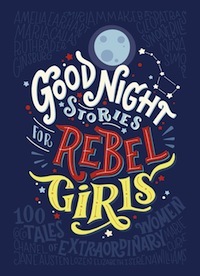 The title, of course, begs the question: do rebel girls ever sleep? Mothers and fathers beware: the truth that awaits you may unsettle you, thrill you, captivate you in turn. There is something about the Moomins and Christmas – they are a little like Jack and Jill. 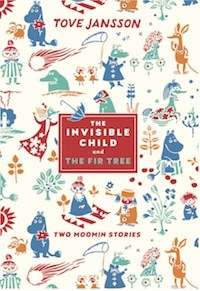 This time, they will be everywhere: from new, resplendent reissues of the Moomin stories to this very special edition, a unique collaboration between Sort of Books, The Moomins, Oxfam and Waterstones. All the proceeds from each £4.99 sale will be donated to Oxfam’s programmes for women and young girls. As if you needed an excuse to give a Moomin a home, here is one as full of heart, as full of light, as any of these immortal creatures. 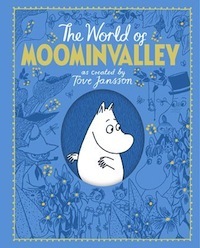 The World of Moominvalley, as created by Tove Jansson (Macmillan Children’s Books). An indispensable vademecum for those for whom the world of the Moomins has become an invaluable haven and a home. Given or kept for your own shelf, this book will endear itself to anyone who reads it. Gentle and audacious, thoughtful and outrageous, evocative and unashamedly tongue-in-cheek, this is one stocking-filler that will fit all sizes, ages, moods and inclinations. Now in paperback, this is a charmer. 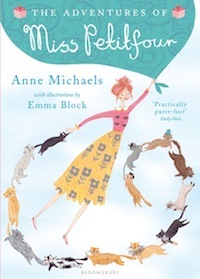 Miss Petitfour is as delectable as the feather-light confections evoked by her name. Cakes, cats, constellations and several moments of irresistible consternation are all part of this frolic that will not fail to capture young hearts and fancies. If you grew up with Captain Grant’s Children, Mystery Island or Two Years’ Vacation, it is only fair that you should want your children to have a castaway adventure of their own – before they reach the time when they will read The Heart of Darkness or Lord of the Flies. 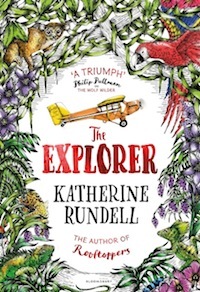 Katherine Rundell has proven her mettle in the past, and with The Explorer she shows her storytelling journey is set to be a long one. What young blood would not change England for the heart of the Amazon; a secret city and a map instead of five o’clock tea? A balding robin, an angel with mouldy wings, a tin soldier with a rusty drum and a rocking horse nibbled by woodworm, a lonely boy and a red star that tears across the sky – isn’t that what Christmas is all about? 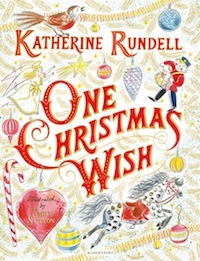 Read on to find out, in this whimsical, warm-hearted little cracker of a story from Katherine Rundell. A perfect treat for Boxing Day or under the blankets as you pretend to be asleep on Christmas Eve. 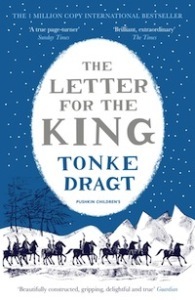 Now that all three volumes are available in almost pocket-sized paperbacks, we can only repeat last year’s injunction: these are a compulsory gift to any child (or child-no-more) who has already been lured into the irresistible world of Tonke Dragt. Or a life-enhancing gift for any still uninitiated. Evocative and haunting, suspenseful and full of charm, this is a whodunit with a difference, with histories and stories lurking on every page. From the author of Code Name Verity, this is about growing up and staying pure, about idylls and the realities of life, love and murder. A poised page-turner for keen hearts and minds. 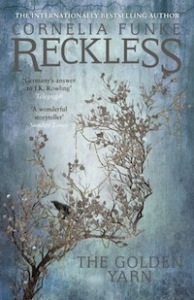 Cornelia Funke requires no introduction, yet a new yarn, a golden one at that, from the Reckless series, certainly merits a few squeals of thrill and of delight. A boy and an elf. A fox, a dark fairy and a return to Mirrorworld. Old stories, flying carpets, witches that devour time. What else can a young mind wish for at Christmas? From Hans Christian Andersen to The Borrowers or The Velveteen Rabbit, the inner life of toys or the worlds of little people have held children (past, present and future) in thrall and in a state of longing. 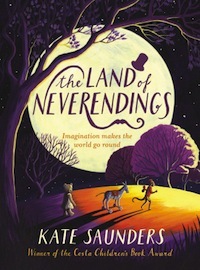 In Saunders’ tale, enchantment merges with grief, longing with the pain of loss, the power of the imagination with the talent for healing. 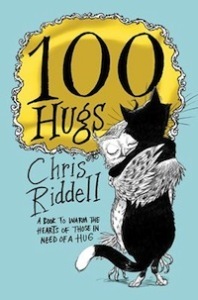 A book that shows how silliness is a matter of the utmost gravity; and happiness a most fragile, precious gift. These ladies were not for turning… Unconquerable, bothersome, unconventional and with more than a touch of P.L. 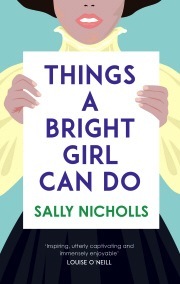 Travers’ Mrs Banks or Lindgren’s Pipi Longstocking, Nicholls’ three suffragettes will conjure up worlds not so easily forgotten. 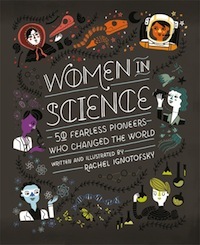 A perfect gift for fearless, clever girls. Fairy tales never age, never die, never tarnish, never lose their power to hold us captive under their spell, to woo us with their wisdom. 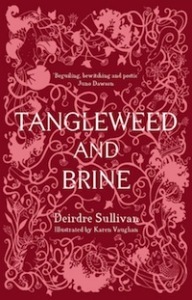 In this retelling of ten favourites from Rapunzel to Rumpelstiltskin, the eyes feast as much as the soul and mind. A beautiful return to timeless treasures, a new journey to mystical, mythical lands. A long-overlooked treasure for children written by one of the most fascinating women of the 20th century for the future Queen Mary. A Christmas story about a real princess’s doll’s house. There are sprites, mystery and laughter. Need we say more? Were you ever given a bust of Julius Caesar for your 11th birthday? Chances are that perhaps you do not belong to that blessed race of children whose presents defy both reason and the imagination. And yet what more could you wish for in the middle of a war? What more stable than a marble bust of an ancient glorious general when soldiers are dying like flies and alliances are switched as easily as the flicking of a light switch? Read and discover culinary genius and human madness; trauma, friendship and the miracle of survival, even when almost everything is lost. Listen carefully to the echoes behind the words and the battle cries, and you will hear the beatings of a heart long thought dead and cold. Look and be lost in the linearity, the unfathomability of the drawings, in this truly powerful new story, suffused with so much old wisdom. One more yarn full of mystery and darkness, the pangs of growing older and the thrill of worlds beyond our own. A story of sadness and loss, retrieval and rebirth. Intriguing, powerful, full of echoes, voices, the smell of the wild and the comfort of home. Ted Spark has a very unusual brain and a very big heart. 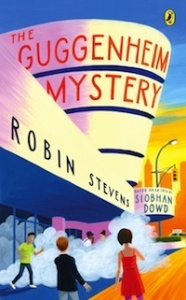 So when a painting is stolen from the Guggenheim Museum where his aunt works, and she is accused of the theft, he decides to put his little grey cells to work. Told by Ted himself, this is a ripping yarn, as well as the tableau of a city and its culture. Riveting, unusual, a treat. There is something hypnotic about the name Jakob Wegelius. It conjures up sixteenth-century alchemists and seventeenth-century fortune hunters, books of spells or forbidden manuals of arcane knowledge. This book should come with a warning: look closely now – for nothing is what it seems, nothing happens as expected, and no one is who they would more ordinarily be. A hauntingly suspenseful, masterfully written tale about right and wrong, possibilities and limits, the thrill of travel and the pain of distances, truths, lies, compassion and remembrance. 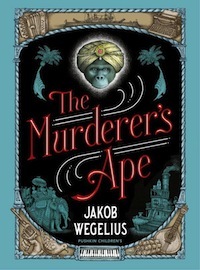 A perfectly unputdownable book for the brave, the curious, and the gentle at heart.